One of the most unique JRPG ever released by Square Enix, The World Ends With You, is soon releasing on Nintendo Switch as The World Ends With You Final Remix, and the Japanese publisher released a new trailer today, revealing the Japanese release date as well. The new trailer, which can be watched below, highlights some of the new features found in what seems like the definitive version of the game. The trailer also confirms that the game will release in Japan on September 27th. New Scenario – With the appearance of new Reapers, get to the core of a story that has yet to be told. In Case you never heard of the game before, you can find a short story synopsis below. 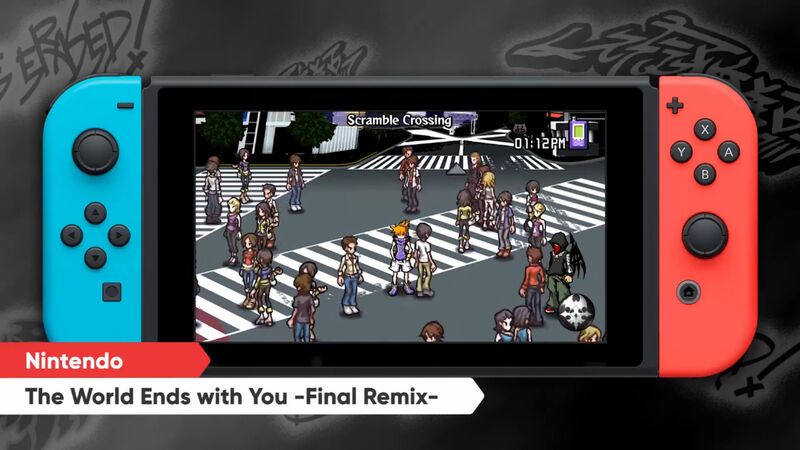 The World Ends With You Final Remix launches in Japan on Nintendo Switch on September 27th. A Western release date has yet to be confirmed, and we will keep you updated on it as soon as more come in on it, so stay tuned for all the latest news.